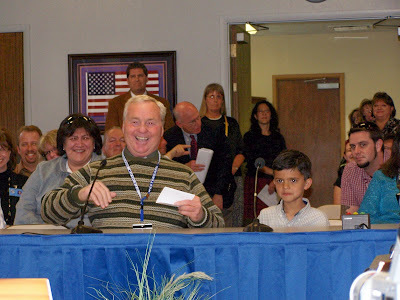 A week ago I received a phone call from the school Principal letting me know that Pravan was invited to the school district board meeting with the board of trustees and the superintendent. Pravan was thrilled and so was I. All of this took place yesterday after school. As soon as Bill Chronister the school principal at Westergard Elementary school sat with Pravan , his little sister yelled out from the back of the room " HI " You can see the principal laugh and wave to her. You can see her taking his spot and pushing him out of the way. Priyasha is usually shy and will just cling to me and that was what I was expecting. However she stole the lime light away from her brother. It was a little comedy show and Pravan did not get a chance to talk very much. "Do you want to introduce your mom and sister ? " 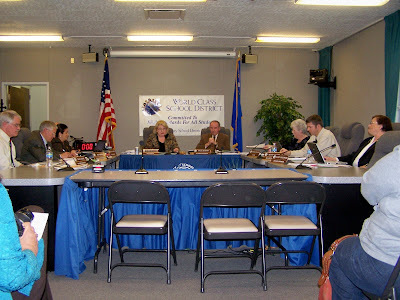 the board members asked. " NO " was Pravan's response. The crowd laughed. 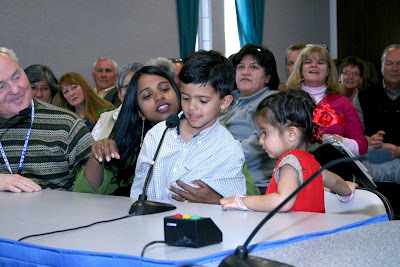 Priyasha grabbed the microphone and told everybody her name and then told them my name. She loved the attention and amused everybody. At the end of the recognition they asked Pravan to step aside to take a picture and she said " I can't believe it " She is already loud so with the microphone you could hear her a block away. I laughed too, it was so funny and now I feel embarrassed and mortified. Not once did I remember to thank the board or remind Pravan to do so. I did loose some sleep over this as I want to teach the kids the right things. I was flustered and distracted by the class act of a three year old. 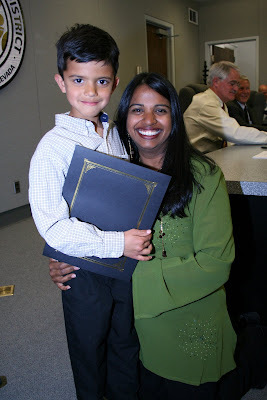 To fix this I call the superintendent this morning and we will have a chance to stand in front of the board at the next meeting and thank them publicly for honoring Pravan. 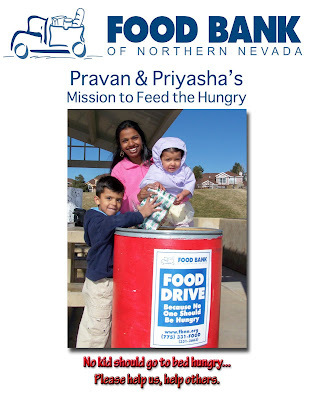 Just an update on "Pravan and Priyasha's mission to feed the hungry". I have 3000 sheets of paper sponsored by a local paper company in Reno " JC Paper " Keystone printing has offered to print me 10 000 fliers with a message that will go home with the kids so they can bring canned food to the school.I have another company that will be printing us 11 x 14 posters to attach to the food barrels. This is what the poster will look like. The goal has now been changed to 10 barrels of food. Each will hold 250 pounds of food. We hope to collect almost 1000 pounds of food.I have selected six elementary schools in the area that will host a barrel each. I am talking with some local business's to help out and we have the egg hunt planned for April 5Th which will bring in one barrel or two. I have been busy running this campaign for a six and three year old. This is nuts, what will they do next ? Run for president. I am thrilled that I have taken words of out my kids mouths and escalated it to the next level. 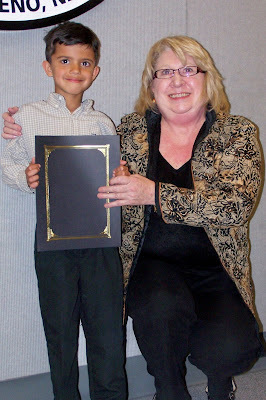 We all need to believe that the kids even though they are little , they can make a huge difference. Todd and I are very proud of the kids and hope this will encourage others out there in this tough economy to step up and help out no matter how small the gesture is. 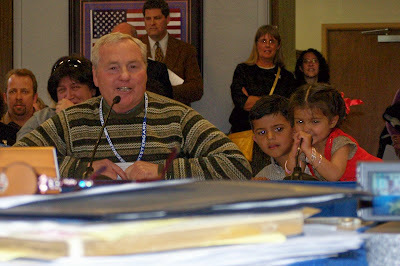 I am hoping the video will be on the school website soon so you too can laugh at the kids the way I did and all those people that cared enough to attend a meeting like this out of pure concern for the future of the kids. Note this is a public meeting and all is welcome.The people you see in the background are strangers to me. This is Barbara Clark. She is the president of the Board of Trustees. Below is a picture of the resolution Pravan received from the district. 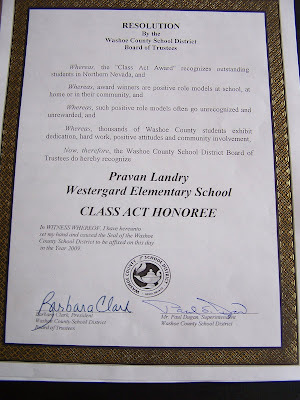 This is a huge honor for a six year old and we are proud. I will keep you posted on how the food drive is going. Wish the kids luck. Go Pravan. Can't wait to see the video. What a motivated boy. I think he shares some of your 10 gears! 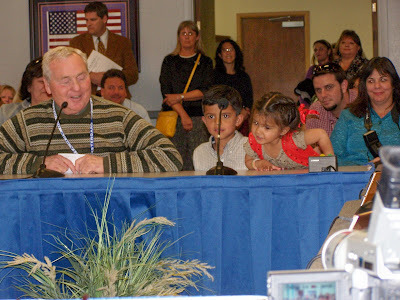 Little Priyasha stole the show hugh?? Soo cute! you really are doing such wonderful things in your community! !